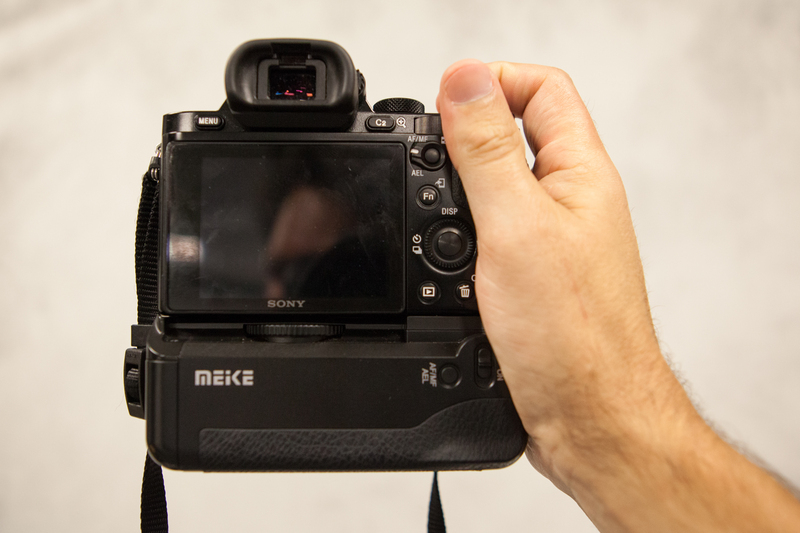 I recently picked up the $69 Meike battery grip (with remote) for my Sony A7R. 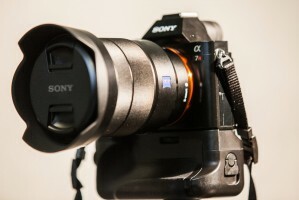 I bought this as an alternative to the far more expensive Sony battery grip, which is $298! I can’t see anything the Sony does that this battery grip doesn’t – in fact, this grip came with a wifi remote, which the Sony does not have (more on the remote later). Cons: Bad implementation of remote system, weird battery compartment (on battery 1), hard to reach dials in vertical shooting mode, dial on grip can easily be accidentally nudged (though it can be disabled). I’m really enjoying using this battery grip. One of the only gripes I’ve had about my A7R was how it can feel so tiny in my hands (and I don’t even have big hands). This grip solves that problem. The camera now feels a lot more balanced; It actually feels a lot like a traditional SLR. What helps add a feeling of balance is the amount of support given to your palm. Ordinarily half of your palm (or more if you have bigger hands) isn’t used for support on the Sony A7/A7R/A7S, so your fingers end up doing a lot of the work supporting the camera. With the grip attached, you can use more of your palm for support, resulting in a more balanced feel. With the grip attached, the camera looks like a miniature version of the medium format Canon EOS-1, which is not really a bad thing in and of itself but these cameras are traditionally known for their portability. 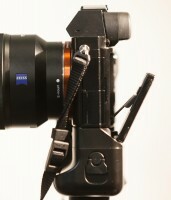 Fortunately if portability is something you need for any particular shoot, the grip can easily be removed. 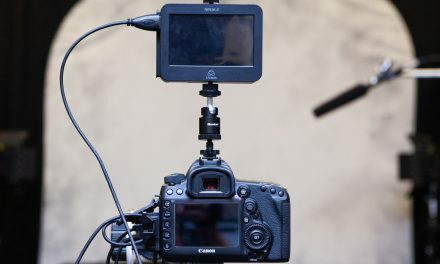 The grip fits snugly on the body and is attached via a thumbscrew type design that screws into the standard tripod mount on the bottom of the camera (typical of most battery grips). 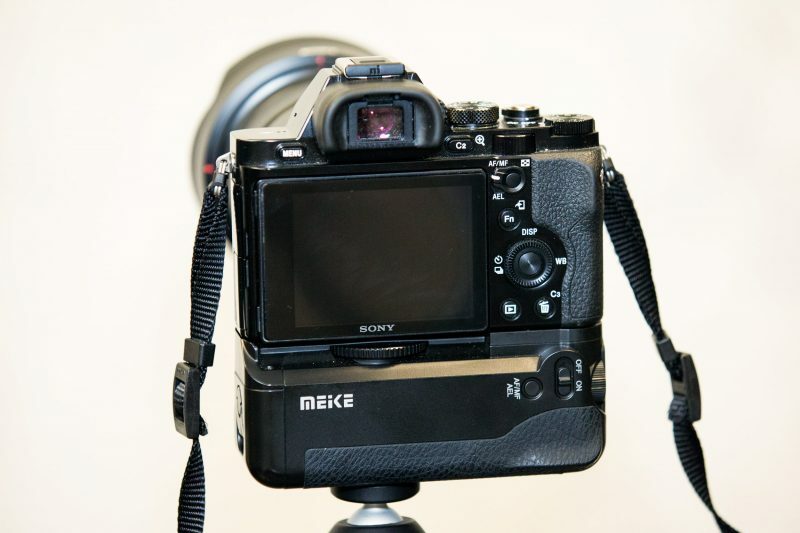 Meike promises that the camera remains water and dust resistant with the grip attached. 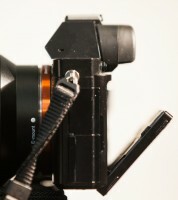 The grip includes it’s own tripod mount hole, so you can still use your tripod with the grip attached. In order to attach the grip, you need to remove your original battery door on your camera. This took me a few minutes to figure out, but Sony actually made removal of the battery door very easy. 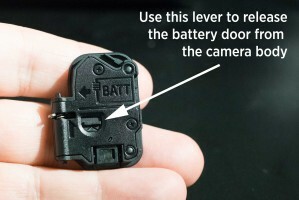 There’s a small lever on the inside of the door which can be activated to retract the pin that holds the door in place. The door came right off once I figured that out. Meike were also nice enough to provide a place to store the original door while you use the grip, which is a nice little touch. The grip promises “vertical shooting as easy as horizontal shooting” but – eh, not so much in my opinion. It does have the two main dials that you have access to when shooting horizontally, as well as access to the “C1” button and the “AF/MF” button, but the two main dials (shutter speed and f stop adjustments on my camera) are both very hard to reach on the battery grip. I mentioned earlier that I have small hands, so maybe that’s why. On the plus side, the shutter button is perfectly placed, and actually has a more satisfying “click” than the original shutter button on the A7R. To be totally honest, I always have the grip’s dials just turned off completely (there’s an “on/off switch” that allows you to do this). I noticed that when I have the dials turned on, my shutter speed was randomly changing and for a while I couldn’t figure out why. Finally I realized that as I was holding the camera between shots, my palm was rubbing against one of the dials on the grip causing the shutter speed to change. Wow, that’s annoying! So I just turned the dials off. Problem solved. One issue that I did run into when using the grip is that I can’t articulate the rear LCD as much as I’d like to. 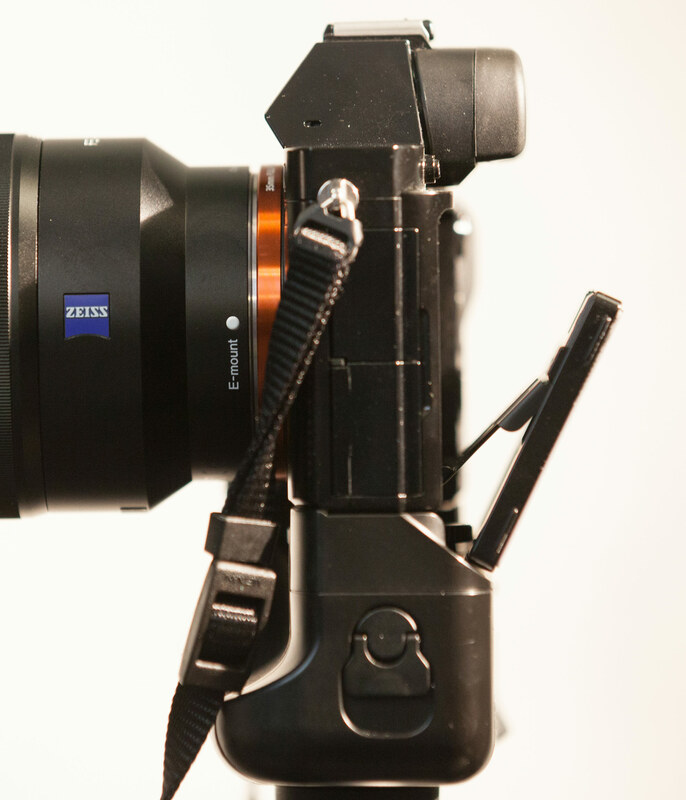 I looked at the pictures of the Sony grip, and it appears this would be a problem with that grip as well. The screen still articulates, but I can’t angle it down quite as much as I can without the grip attached. Not a huge deal, just something I felt was worth mentioning. Another small issue is how battery #1 is placed into the grip. You have to bend the plastic a bit and force the battery in, and it feels a bit awkward. You’d think the battery would just slide in, but no. Seems like that could have been designed better, and from what I understand this has been implemented in a better way on the Sony grip. 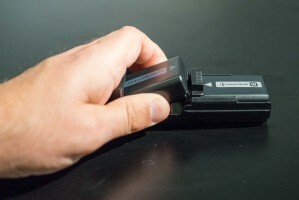 There are two versions of this grip – one with and one without a remote. I bought the one with the remote. The remote apparently has all sorts of functions you can assign to it, but the menu system on it is horrible. I gave up trying to figure it out after about 15 minutes. On top of that, the only way to actually turn the remote off is to remove the batteries. And guess what happens when you remove the batteries? 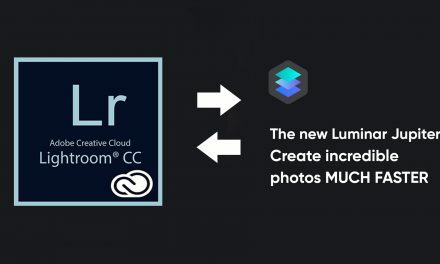 Any custom functions you set up disappear. That’s a shockingly bad system. So the only thing I use the remote for is to remotely activate the shutter on the camera, but even doing that requires me to set the channel to “00” on the remote every time I put the batteries back in. Nice idea, but very badly implemented. The remote functionality does at least work well once you get it up and running. 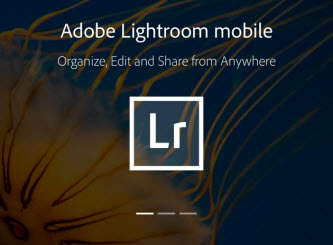 I used it recently to remotely trigger some long exposure night shots and it worked very well for that purpose. 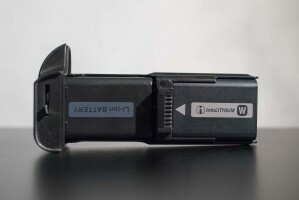 If you decide to forego the somewhat clunky remote option, there are other ways to remotely fire the A7R, such as the Fototech IR Wireless Remote, or even your phone using the DSLR Remote (Android App) or TriggerTrap. All-in-all I’m happy that I went ahead and bought this grip. The additional battery life is the obvious reason to buy one of these, and that will really come in handy when using the A7R on a video shoot. But I’m also happy with how much better the camera feels in my hands when using this grip, and when I attach my newly acquired Sony 16-35mm lens, the camera looks like it means business. 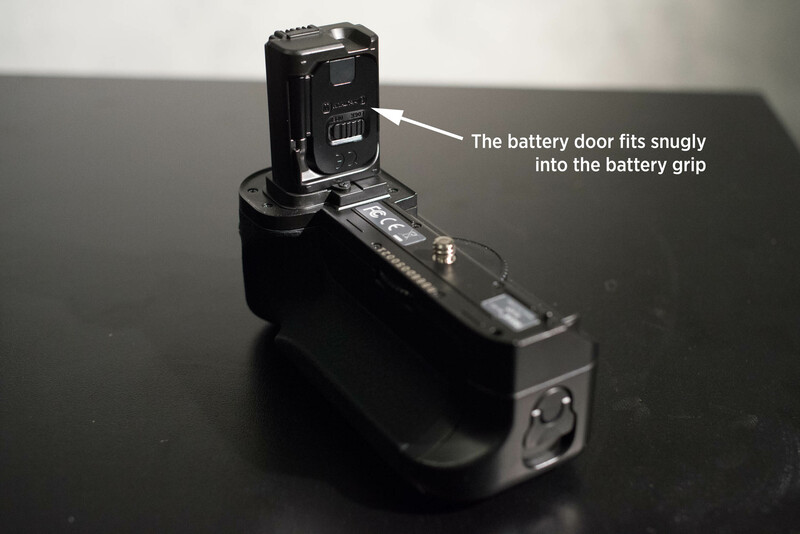 You can buy yourself a Meike Battery Grip over on Amazon for $69 (as of this writing). 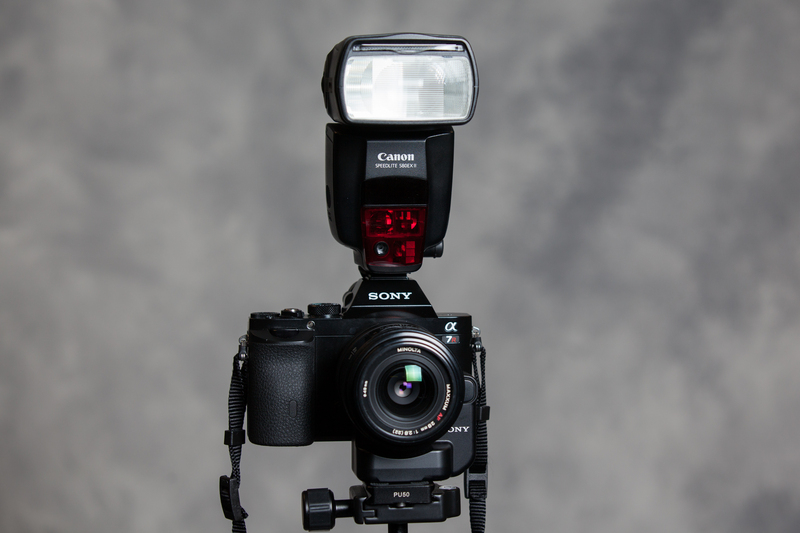 PreviousSony A7 or Canon 5D – Which is Better for You?